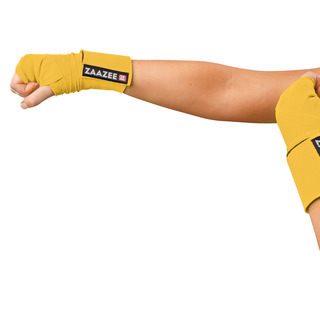 Bold, fun, bright coloured wraps protect your hands when boxing and look great in a body combat class. Our wraps are wider and easy to put on so they are great for beginners. Protect your hands from injury when boxing. Most people wrap their hands a little differently because everyone's hands aren't the same. So, after practising a few times, feel free to adjust the procedure to your liking.